An RFID wall mount portal offers better range and a larger read field than a read station, but in a package that is more attractive and less obtrusive than our industrial portal. Originally designed, and still primarily used, for asset tracking in office, data center, and hospital applications, these have since been repurposed by manufacturers for tool tracking, employee tracking, and for wider coverage at equipment. The front plates on wall mount portals can be customized with woodgrain, logo, artwork, or solid color. Let us know what you want! A wall mount portal includes the RFID reader, middleware, (2) or (4) adjustable antennas per unit, powder coated steel wall mount case, and black front plate. 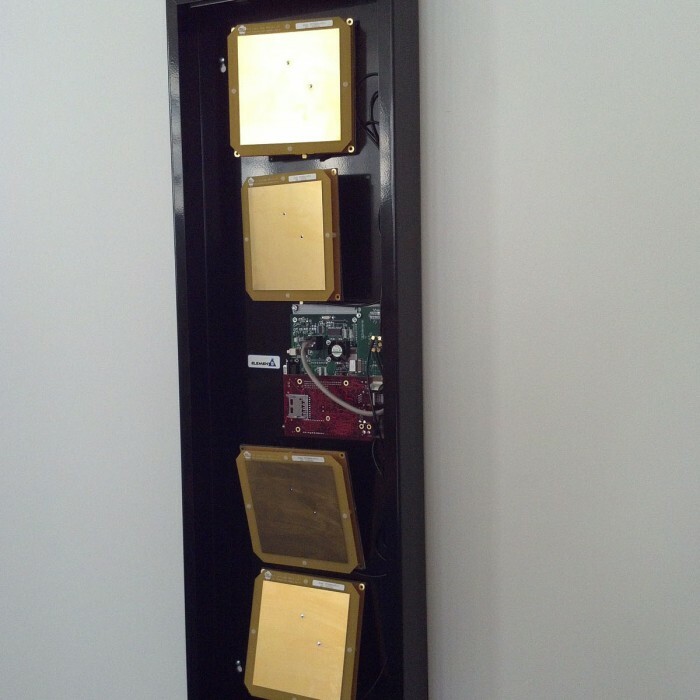 Download the RFID Wall Mount Portal Datasheet.